To Being premiered at The Chocolate Factory Theater, NYC, September 2015. To Being is a choreography of persistence in the heart of jeopardy and precarity: the body continues in ongoing change, relations transform, meanings proliferate and fade. 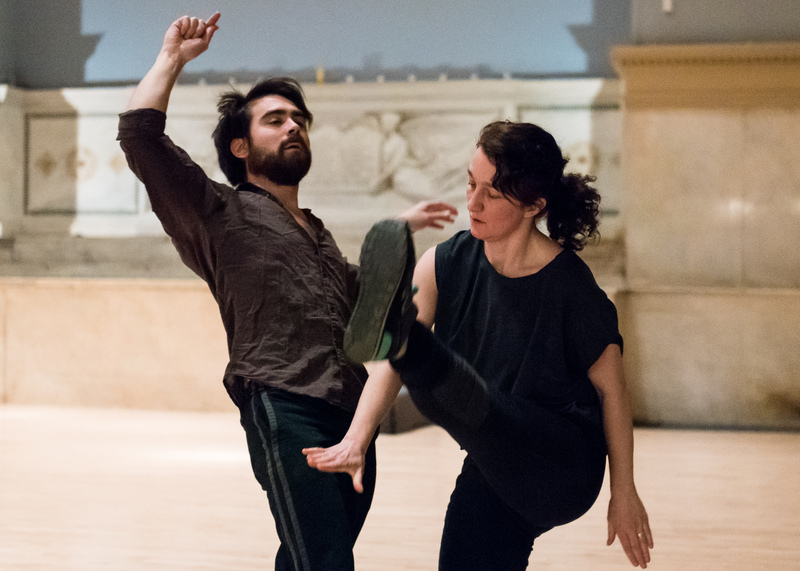 A companion work to Durning’s acclaimed solo performance practice, inging, To Being is based on the decidedly chosen practice of nonstopping — always moving absent destination— always becoming, never arriving. A psychosocial experiment, To Being opens to a landscape where radically divergent desires converge and empathy unfolds. To Being is dance as both ontological inquiry and homage, a force against the absolute, the nameable. To Being is a composition of endurance, a sonata of devotion. To Being is an unending search for an imperative relationship to movement in which dichotomies between self and other, material and immaterial, thought and action, incessantly dissolve. But more than anything else, To Being asks: What’s at stake? Where’s the end? How can we give more when all we feel is that we’ve met our limit? Created by Jeanine Durning with Julian Barnett and Molly Poerstel. Directed by Jeanine Durning. Performed by Julian Barnett, Jeanine Durning, and Molly Poerstel. Sound by Tian Rotteveel. Lighting by Joe Levasseur. 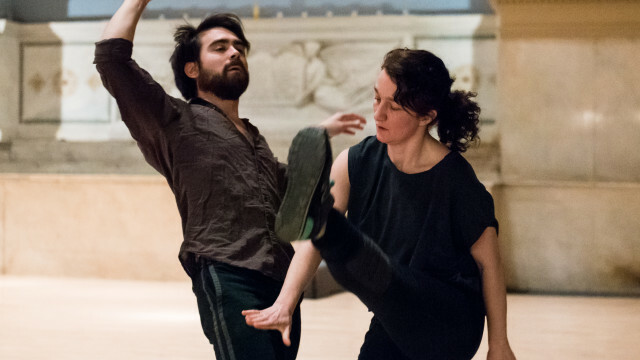 Jeanine, Tian, Molly, and Julian (behind camera) at Gibney Dance’s Dance in Process Residency. July 2015.